Do you have a lead gen goal? I certainly do -- we've had an SLA established with Sales for years, and part of the blog team's SLA is delivering a certain amount of net new organic leads to Sales each month. The only time goals like this give me a major panic is when it feels like a guessing game. Over the years, however, I've developed an approach to tackling these goals that's rooted more in logic than luck. Here's the approach I take -- and you can take, too -- using some software and some common sense. If you need help determining what your leads goal should be, check out this traffic and leads calculator. It'll help you develop a lead gen goal based on your company's revenue goals. Once you've figured out your lead gen goal, set up a dashboard for yourself so you can keep track of your progress. If you start to dip below your waterfall, you know you've got some re-evaluating to do on whether you're hitting the right publishing volume, or whether you've got the right balance of topics. This kind of real-time reporting is critical for agile marketers to remain ... well ... agile. The waterfall above is just an example using HubSpot software, but you could also set one up using this Excel chart. Next, perform a content analysis. Now that you've got a smart goal set up and you're ready to measure your progress toward that goal, you have to actually figure out how to hit the goal. I hinted at the fact that choosing the right topics is critical to hitting your lead gen goals. Now it's time to equip yourself with the information to do that. Look at both traffic and leads when analyzing your content choices. While it's natural to try to aim for posts that get a ton of traffic and leads, that's a pretty high standard to set yourself. Remember that a post with very low traffic could have an extremely high conversion rate. Or, a post with a ton of traffic could have an extremely low conversion rate, but the net new lead yield is just as high. Consider which topics yield more leads. Look for which topics tend to convert more visitors into leads. If you know what your high-converting topics are, you can write more of them and put those in your prime publishing slots. Look at the impact of different content formats. Blog posts can take a few different formats -- some of which may convert more leads than others. For instance, posts with infographics may have a habit of outperforming other post types. Or perhaps your thought leadership content actually falls flat from a lead gen perspective, but your how-to content performs extremely well. Knowing this information will help you pair the best topics with the best formats for maximum lead gen. Figure out approximately how many leads are generated from different post types. This is critical, and will likely vary based on the criteria I just laid out. Different topics, in different formats, published on different days could all generate different amounts of leads. If you're an Excel guru, you could normalize the data; if not, you can look for trends or grab samples that are representative of typical circumstances to assess the approximate lead gen you could expect. This step is so critical because it will allow you to figure out the quantity you need to publish to actually hit your goals. Looking at your content analytics will be a mix of cold hard numbers and common sense. You can get really granular with this information to help squeeze the most ROI possible out of your content efforts -- but if you're just starting out, don't get yourself too in the weeds or you could end up in an analysis paralysis state. I recommend simply exporting your content analytics -- HubSpotters should use a mix of Page Performance, Sources, and your blog dashboard, depending on how in-depth you want to get -- and seeing what kinds of patterns you can identify as you sort through the data. Then, brainstorm some working titles. Now that you have an idea of which topics and formats will work really well for lead gen, come up with some working titles that align with those topics and formats. It's important to get a list of ideas written down so you and your team have a pool to draw from that is well-aligned with your goals. In other words, you want to focus on the right content, not just any content, if you're going to hit your lead gen goals. Finally, dole out the working titles and monitor. Now that you've got a list of working titles that, based on historical data, are most likely to deliver leads, start writing. You don't have to write all of this content yourself (unless you really want to). Set up an editorial calendar that your entire team can see, and ask them to select the working titles that they think they could write well. This will get everyone in on the lead generation fun, and make your life a heckuvalot easier. Here's an easy-to-implement editorial calendar template you can use if you don't already have one set up. Once you start writing and publishing your content, be sure to continually monitor your performance. If you start to see yourself dipping below the leads waterfall, look back at the previous day's content and ask yourself why you're dipping. Did a post underperform? If so, why? Was it the wrong topic? The wrong format? Was it due to a lack of promotion on a particular channel? Or was it simply a historically low-traffic day for your business? Understanding how the day-to-day impacts the overall goal helps you better manage your time and ensure you only spend it on high-impact activities that get you closer to your lead generation target. This approach isn't going to let you hit your lead gen goal down to the exact number. What it will do, though, is give you an educated approach to your content and lead generation strategies that makes you far more likely to hit your goals. Corey Wainwright Corey is a Bruce Springsteen fan who does content marketing, in that order. 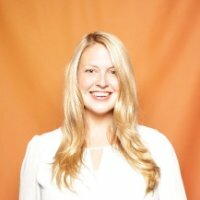 She also thinks HubSpot has the best CRM software out there.